The Cheetos Burrito features a fairly standard set of Taco Bell ingredients: rice, sour cream, seasoned beef, and nacho cheese sauce plus Crunchy Cheetos wrapped up in a flour tortilla and grilled. Additionally, the rice in the burrito is made with a new recipe that is meant to be a little more buttery. I'm not sure I can notice the difference in the rice without a side-by-side-comparison. For the most part, the burrito tastes a lot like a number of past Taco Bell menu items given the mostly same ingredients. The Cheetos add a light crunch but not as much cheesiness as I'd expected/hoped. 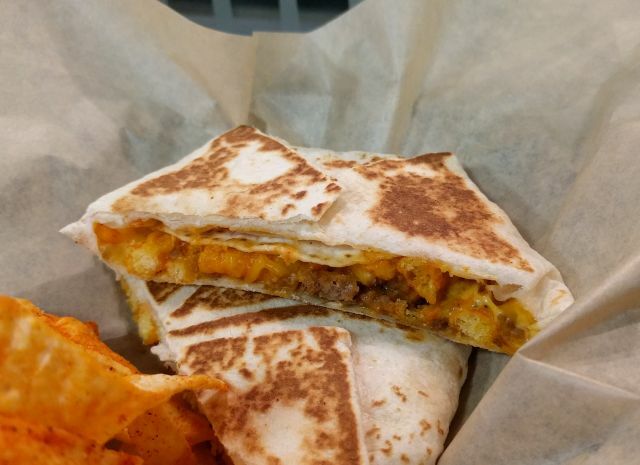 The burrito came about due to the success of the similar Cheetos Crunchwrap Slider (pictured below but not available for sampling) up north in Canada. 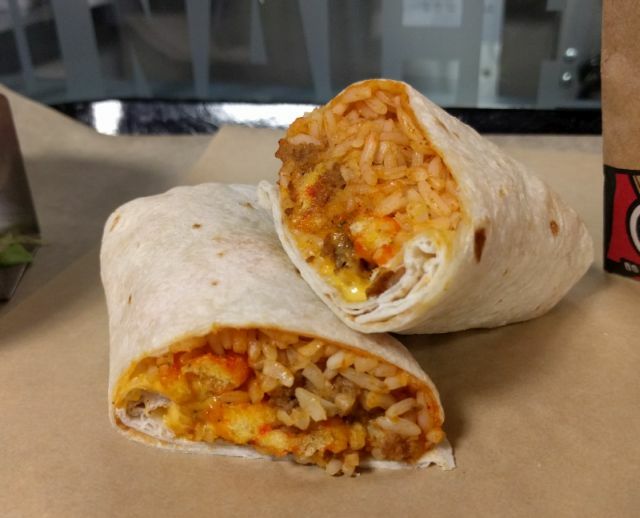 The Cheetos Burrito begins testing in mid-August and will sell for $1.